Their name means “strong” in the Hawaiian language. And they’re literally so strong they have to name them twice. But do you really know everything about this glowious fish? In this blog post, we are going to lay out some a-mahi-zing facts about mahi-mahi. 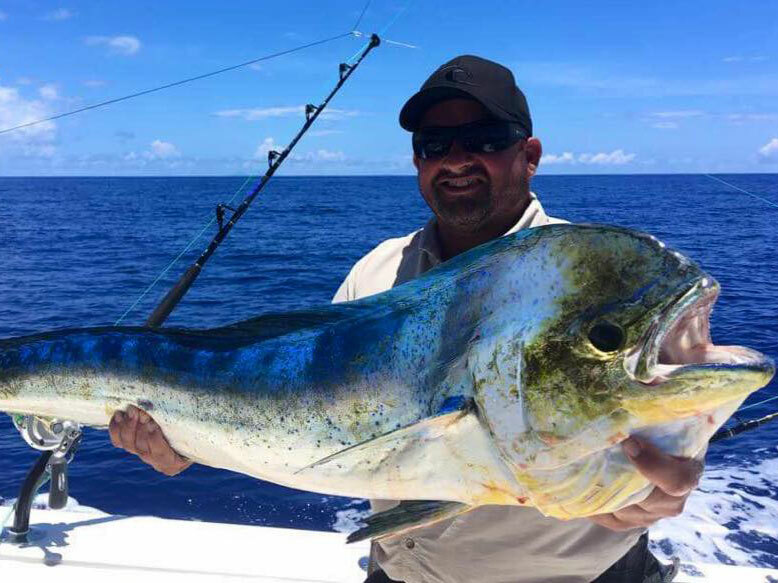 Mahi-mahi are a highly migratory schooling fish found around the world, most particularly in tropical or sub-tropical blue-water open ocean. They can be fished in between the depths of 37 to 85 metres. Their specie is typically short-lived that they only have a life span of four to five years and are among the fastest growing fish in the world, with population doubling in just 15 months. However, they are also one of the most vulnerable fish out there. Their diet consists of crabs, crustaceans, squid, small fish and sargassum weed among other sea creatures and plants. Young mahi-mahi tend to travel in groups of up to 50 or more fish – this is their natural defence from attacks. As they get older their group will become smaller and smaller until they will just swim around with a single buddy. As mentioned, mahi mahi’s name is derived from the Hawaiian language meaning strong. But mahi-mahi is also known by many names all over the world. They are also known as calitos, dorado, lampuka, rakingo, maverikos and – its most common name – dolphin-fish. Don’t worry about that last name, mahi-mahi are not in any way related with the friendly flippers – they’re not even cousins. Back in the day, mahi-mahi are caught by accident – they’re generally a by catch when when targeting tuna, marlin or swordfish. But now, they have become a target of some commercial and recreational anglers all over the world. 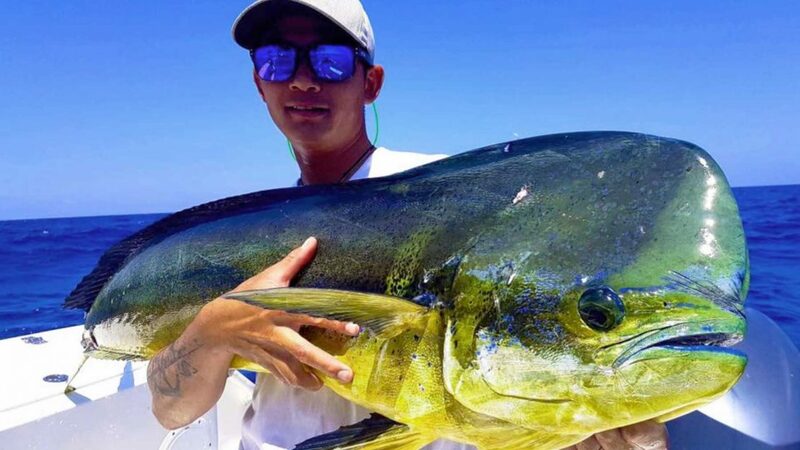 So, what are the fool-proof fishing techniques when fishing a mahi-mahi? 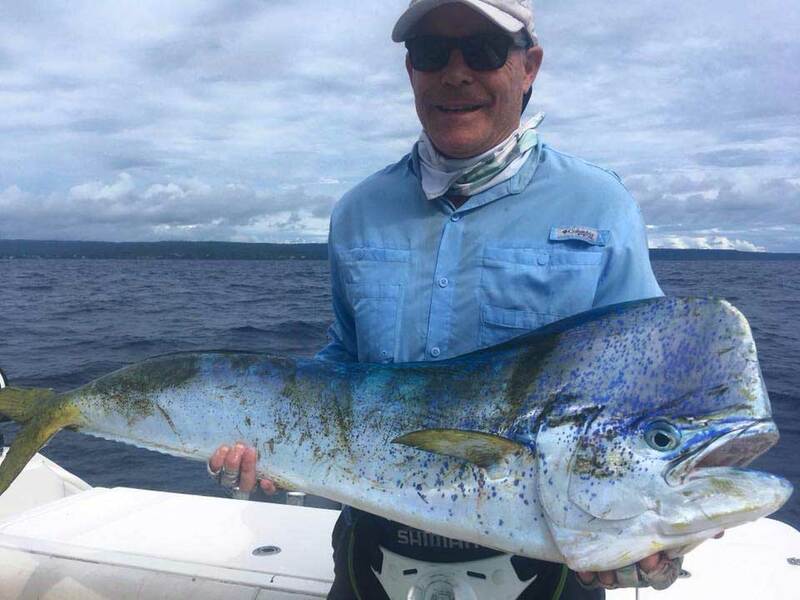 Some anglers would suggest to take a sport fishing boat at the reef’s edge in about 37 metres of water and troll along a line of floating sargassum weed. Mahi-mahis love their floating debris so they get near such items like frongs, palm trees and weed lines. In addition, when you spot a frigate bird somewhere, there’s a big chance that mahi-mahi are around. 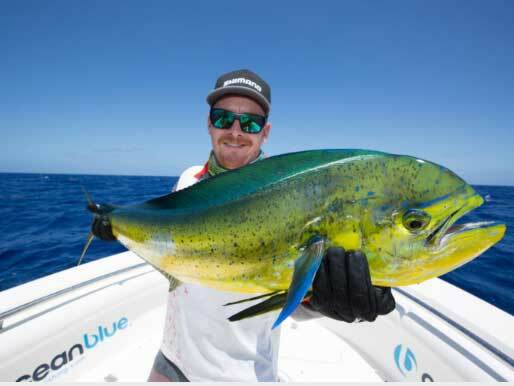 You can also drift strip baits and any topwater lure when targeting a mahi-mahi around floating debris. Another trick is to leave a fish in the water close to the boat once caught. More often than not his mates will follow allowing fellow anglers the opportunity to snag multiple fish by drifting baits or casting lures. Suggest to use a spinning rod and reel combo with 10-13 kg (10-20 lb) fused line because its slightly increased line girth won’t affect casting distance. As mentioned, mahi-mahi are migratory. Therefore, they can only be found in one area for a time and won’t return for about a year. When fishing in Vanuatu, the best time to take a mahi-mahi fishing trip is between June to November although they are caught year round. We hope that you find these facts about mahi-mahi useful. Vanuatu is one of the places in the world where you will find abundant schools of mahi-mahi. 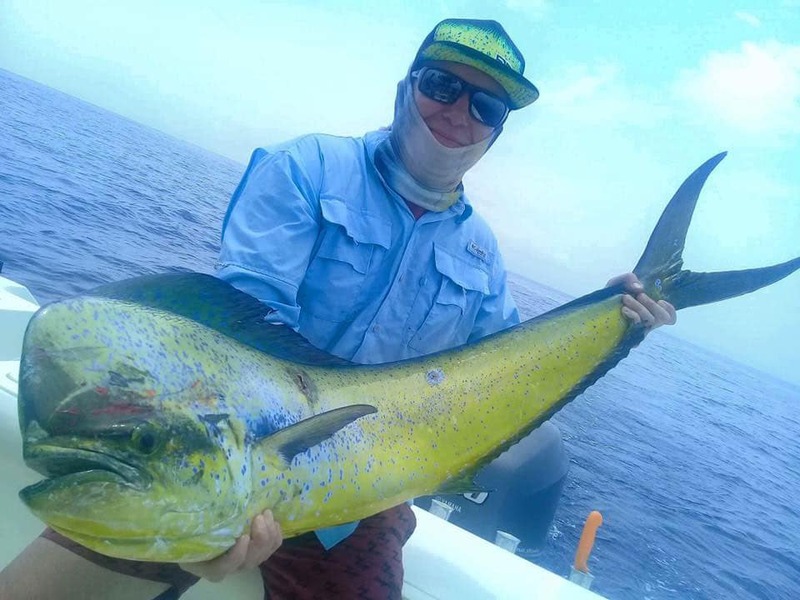 We at Ocean Blue Fishing provide mahi-mahi fishing trips and we can cook your catch after the adventure-packed activity. Click here for more details.